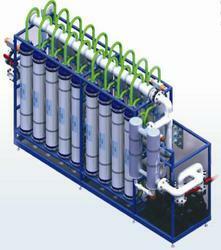 Ultrafiltration (UF) is a separation process using membranes with pore sizes in the range of 0.1 to 0.002 micron. Hollow Fiber UF Membranes can remove colloids, suspended solids (SS), colour, turbidity, bacterium, high molecular weight Substances. Our membranes and membrane systems reflect the advancements that have been made in the industry over the past three decades. Sartobind® IEX membranes are macroporous cellulose membranes carrying IEX ligands for the separation and purification of proteins. Our membrane adsorbers feature extremely short cycle times and exceptionally high flow rates and throughput. A wide range of membranes and membrane processes for fluid purification, recovery and separation. We are Authorized Distribution Partner for DOW WATER PROCESS SOLUTION Product Portfolio of RO UF Membranes. SRPEPL is the only Indian company to manufacture its own water treatment membranes. Through our joint manufacturing agreements with Oltremare of Italy and Grant water Systems of Canada we manufacture a wide range of micro filtration, ultra filtration, reverse osmosis, and flat panel MBR membranes. Xiga 55 ultrafiltration (uf) membrane modules are an excellent treatment method for large-scale surface water, wastewater treatment plant effluent and well water projects with suspended solids levels of up to 50 mg/l. 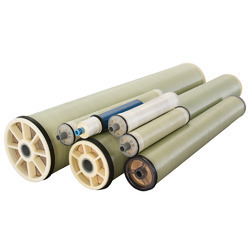 The 8 pvc membrane elements (up to four) are placed in 9 membrane housings. Each membrane module hydraulically operates in parallel, regardless of its position in the system.